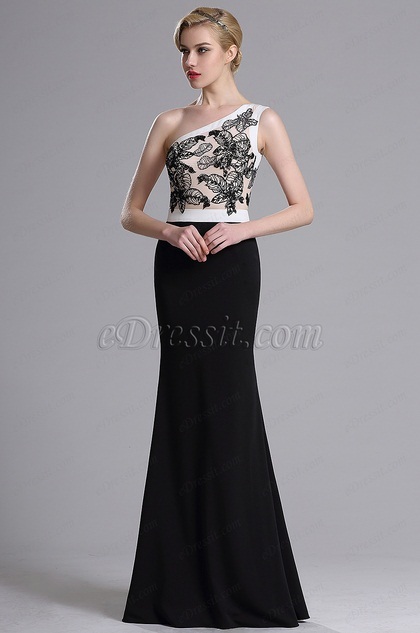 I just want to say that mermaid evening dresses are so charming. 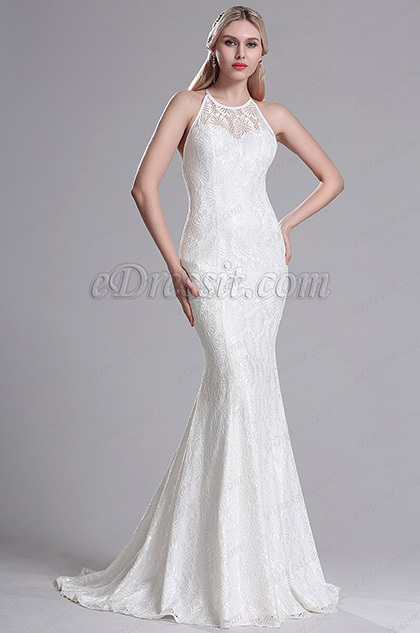 They work well to create the most elegant and stunning body figure. There is no wrong for curved women to choose mermaid silhouette prom gowns. 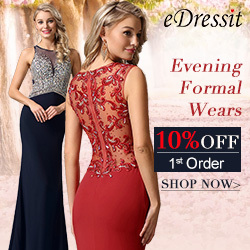 Here are some new evening dresses in mermaid sold in eDressit. The illusion neckline and mermaid skirt in a floral pale rosy hue make for a bold but ultra-feminine statement, not to mention the sheer back and substantial train. This exclusive style has us smitten. Graphic floral lace and dramatic spaghetti straps on back play perfectly off of the train. It turns out to be one utterly romantic and graceful gown. The design of this hot mermaid dresses origined from Chinese ink painting art. The satin top is like painting canvas on which the beautiful ink flowers embroidered and blossomed all over the bodice. 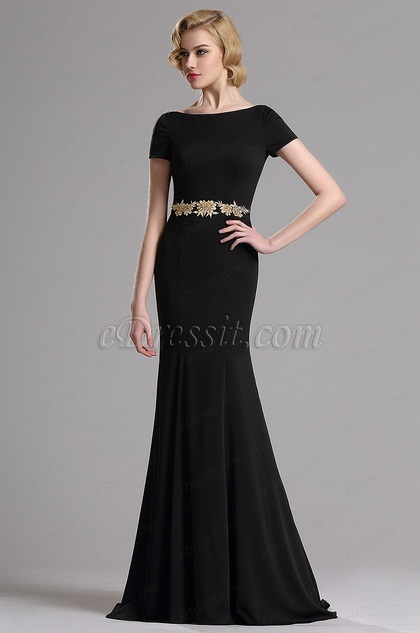 This dress has a simple vibe generated by the whole integrated black mermaid dress. It also looks elegant owing to the beautiful golden applique around the waist and back which is the hightlight of this gown. Romance is in full bloom with this floral applique gown. From the sheer tulle panel at the neckline to the dreamy pleated skirt silhouette, this figure-flattering dress is sure to turn up the feminine allure. Featuring elegant applique on bodice, an illusion back, and figure-flattering mermaid skirt, we love this prom evening gown. Your ladies will be in the spotlight because it accents so much femininity on the look. 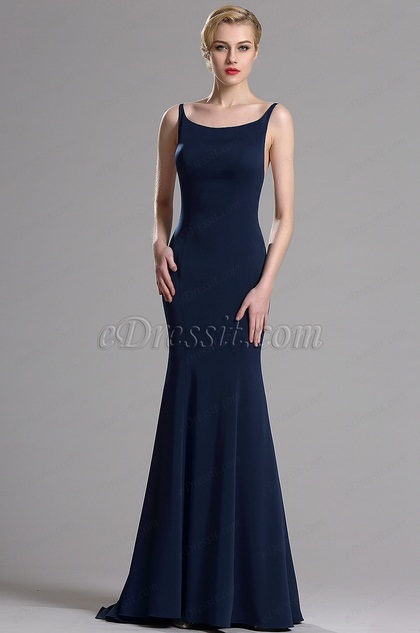 Crafted from supple stretchy fabric, this curve-hugging navy blue shades maxi dress has several features including bateau neckline, crisscrossed straps on back, pleated mermaid skirt with a slight train. Crafted from dreamy ivory graphic floral lace, this full yet airy mermaid dress is perfect for the bride looking for something utterly romantic. For those with a more daring side, this sculptural lace and horsehair skirt is as surprising as it is beautiful.